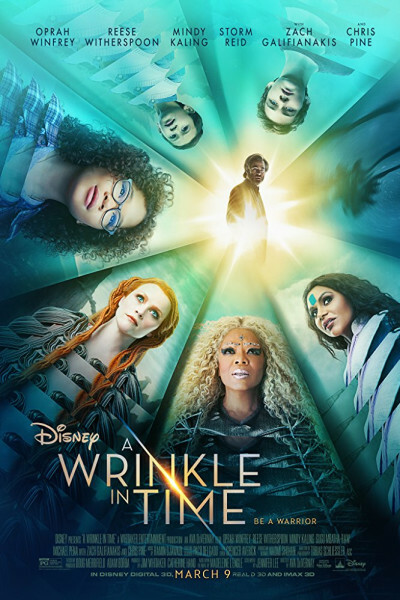 Though it purports to present a wrinkle in time, it irredeemably rips the fabric of plausibility. A more disastrous film I cannot recall. I'm all about diversity and inclusion, but this is the most insane, heavy-handed, obnoxious, suffocating, cloying display of rainbow magnanimity I've ever witnessed. The acting is terrible, the special effects hokey and jokey, the entire endeavor a laughable farce. I cannot, in good conscience, even bring myself to award it a participation trophy. What was the budget? $200? It's as meaningful and real as Nicki Minaj's press-on fingernails, and about as pleasant as two bloodcurdling hours of said nails screeched across the proverbial chalkboard. And gosh, is the writing terrible. It is so freakin' terrible. I nearly exited three times and, in hindsight, I wish I had. It will be several long days of good films before I have sufficiently cleansed my palate and thoroughly extracted the "Charles Wallace" earworm. I'm thinking of watching Tommy Wiseau's The Room to do exactly that. Yep, that should do it.